Woodworking has been part of my life from my teen years. From small projects helping my Dad to shop in high school to building my own darkroom workbench, complete with sink, drawers, hutch - the whole nine yards. I started in my early 20's buying power tools and ultimately owned a woodworking business where we designed and built custom furniture, did restorations on fine antiques, and also did the obligatory refinishing and repairs our clients requested. Longworth Chucks, fresh off the CNC. What David really wanted to do was build acoustic guitars. He began setting up his shop and acquiring the necessary machinery. While his tools are very capable, the one thing missing was a CNC to help him build many guitars at once. That’s when he bought our very first Saturn series CNC router off the production line. Then, a couple of years ago, the company I worked for pulled out of the area. Sandy and I decided I would do woodworking full time in our home shop rather than find another technology company to work for - we liked me being home all the time instead of traveling. We wanted to add a CNC to the shop, so with my days now free we bought a prototype 'beast of a frame' for the CNC and began preparing for the build. I sourced and designed the rest of the machine, including the electronic circuitry and related devices. The machine has been operational since late 2016, weighs in around 600 lbs. and is very rigid, accurate, powerful, and fast. Many of the designs you'll see in our Etsy shop are possible because of the CNC and the equipment we chose for guitar building. I'm still working on the guitars but they have had to take a back seat for a while. Some of the items we build are with conventional woodworking tools - table saw, jointer, router, etc., some are a good mix of hand tools and power tools, and some use nearly every tool in the shop. 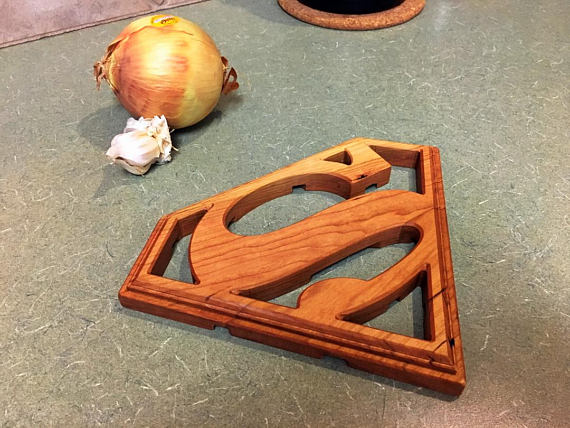 David recently opened his Curly Wood Shop Etsy store to sell his creations to a wider audience. 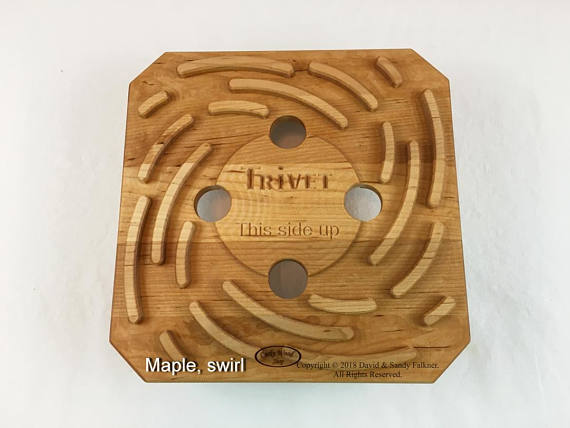 Many of these designs would not be possible without a CNC machine. He also has an awesome YouTube channel where he details the creation process for most of his objects. 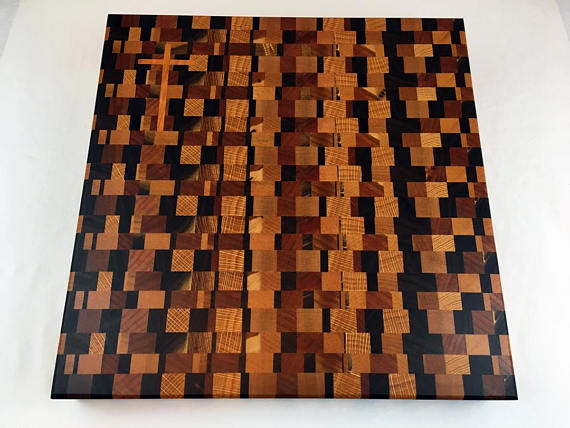 One thing you can clearly see is how he uses traditional woodworking tools like his jointer and planer in conjunction with the CNC. 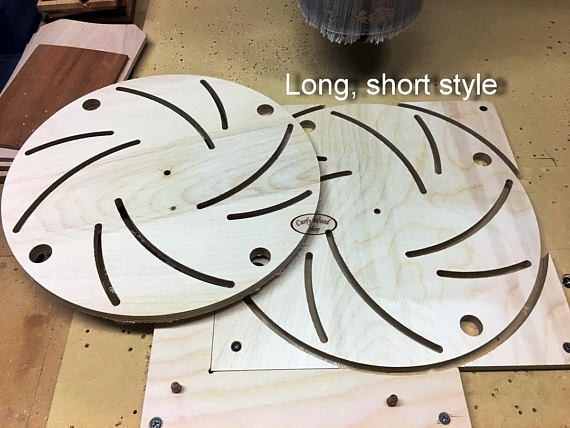 This allows the CNC to do things that it excels at like carving and cutting complex shapes while leaving operations like planing to more traditional tools. While the CNC is perfectly capable of planing, this type of workflow can bring more throughput to your shop.